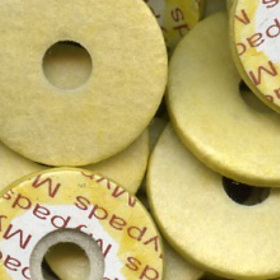 Wind Plus stock a wide range of flute pads for your general workshop needs and can supply professional flute pad sets to order. Stock pads are usually shipped same day. 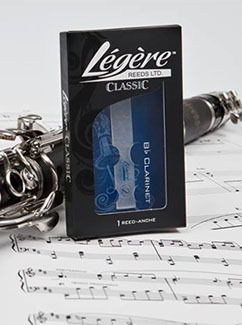 Lucien Deluxe flute pads are the highest quality flute pad that we keep in stock and are a good choice for high-end professional instruments or advanced student flutes. They have a double bladder yellow skin construction with a special treated pressed felt, giving a firm pad with a good flat face and well-defined edge. 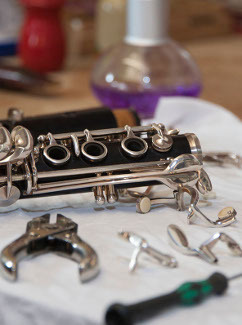 Premium Deluxe flute pads are also a good choice for high-end and advanced student flutes. 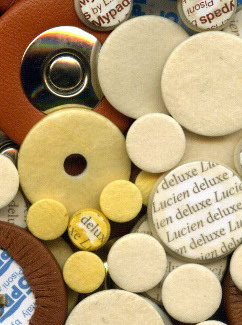 They have a double bladder yellow skin construction with a deluxe woven felt, giving a slightly softer feel compared to the Lucien Deluxe pads. 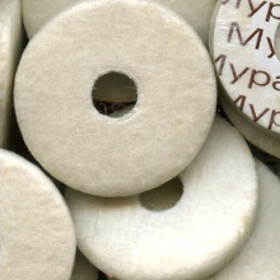 Mypads flute pads are a good standard quality pad for beginner to intermediate student flutes. They have a double bladder yellow or transparent/white skin construction with a regular quality woven felt giving a softer feel. 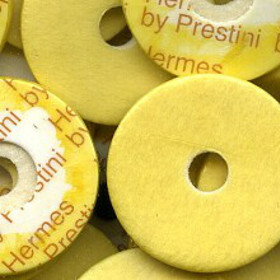 Hermes pads are a good standard quality pad for beginner to intermediate student flutes. 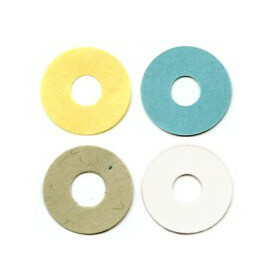 They have a double bladder yellow skin construction with a regular quality pressed felt giving a firm feel. 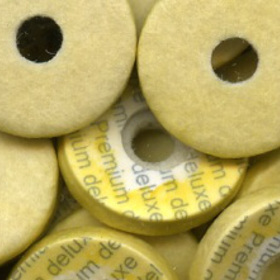 S2PADS Flute Pads are constructed using carefully selected yellow double bladder skin over a microfibre or synthetic Hi-Tech felt with a Delrin half-shell backing. 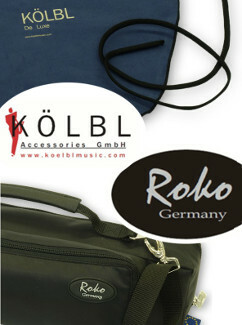 This combination provides a pad which is perfectly shaped, with precise and stable dimensions and a very flat face. 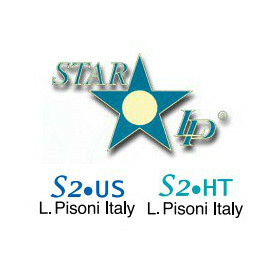 STAR-LP pads are constructed using specially selected yellow double bladder skin over a felt which is treated to remain dimensionally stable when subjected to changes in temperature and humidity. The pad is backed by a unique star cushion (to help reduce pad noise) and a lightweight alloy half-shell. 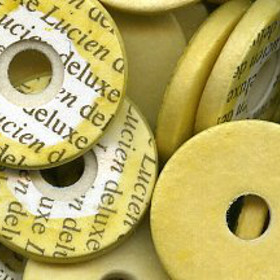 The result is a pad which resists distortion during fitting and provides a very stable flat surface. 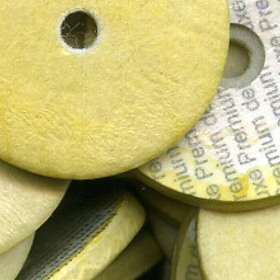 Sound pads are constructed using specially selected yellow double bladder skin, treated felt, and a synthetic backing disc. 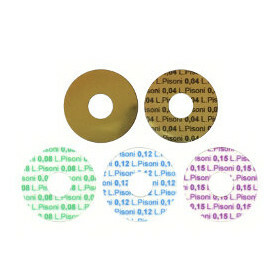 The backing disc is designed to give a pad which has a very precise diameter and thickness, is flat and stable, but also has a degree of flexibility.